Happy New Year! 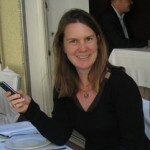 We’re back with our first open education around the world blog post of 2014, written by Dr Anna Wertlen on South Africa. Dr Anna Wertlen is founder and chairperson of the Village Scribe Association for the advancement of innovative ICTs in development. She advocates for better education conditions, especially for young people. In her opinion, the right of education is a fundamental human right and requirement for a dignified life. Currently the VSA’s focus is on strengthening disadvantaged schools in peri-urban areas through the awarenet social network. Dr. Wertlen has played a leading role in eliciting requirements from communities in underprivileged areas and designing awarenet, since 2009. Dr Wertlen is impressed by how intuitively and effectively young learners use the Internet and online social networks. She believes that ICTs are helping to level the playing field for disadvantaged learners. Her Ph.D. is in behavioural neuroscience (FUB). Open Education is not widely discussed in South Africa as a new possibility of teaching learners or letting learners learn in a more suitable way. In fact, South Africa’s education system has failed and the majority of learners living in rural or township areas are lucky if they have a functional school building and a present teacher. The pressing problems are much more basic. However, there is a growing group of people who are concerned about the way teaching happens in schools, and many people who offer alternatives and opportunities for learners after and/or outside the normal school hours. The work of NGOs in the educational sector becomes more and more important for the schools in a time where corrupt government misuses money meant for school books and other essential resources. But working with learners after school hours also brings opportunities to the learners and teachers. It is a space, where new methods and ideas can be tested. And often, they are well received. The Village Scribe Association (VSA) (Village Scribe on Facebook) is a small NGO in the poorest province of South Africa, the Eastern Cape. The Trust partners with a small IT company called eKhaya ICT, and together they have developed an online learning network that is suitable for school computer labs with no or low quality Internet access. awarenet is a P2P social network, which combines the functions of well known social networks such as facebook, YouTube, Flickr and Wikipedia additionally to personal messages, blogs, chat rooms and creative spaces such as a scribble tool. The uniquness of awarenet is that it functions in a mesh network and gives users the feeling of operating in a social network even when Internet access is not present. awarenet servers can be mobile and taken to places with Internet access, where instances can be synchronised. At the same time, awarenet is a cloud service and can be accessed from anywhere in the world. 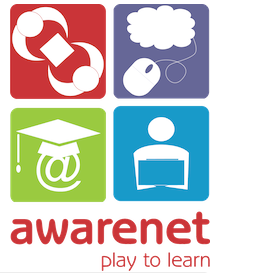 awarenet is open-source and free software, meant only for teachers and learners, although you can install your own (empty) instance for private purposes. If you want to connect to the rest of the awarenet network, you can apply as a school or teacher at the VSA. The VSA offers free synchronisation service to underprivileged schools for free. Private or wealthy schools are asked to contribute a small fee to make the project sustainable. awarenet is a safe platform for first time users, where they can learn how to use Web 2.0 tools. Unknown people cannot register on awarenet to prevent misuse of the network. All content produced by the users stay in their property and won’t be monetised by the network owners. The platform contains no advertising and cannot be monitored by third parties. awarenet is designed to give users the opportunity to truly work in teams on projects that can be suggested and started by any user of the network. All content produced can be read and re-used by all other users. Further, awarenet offers access to 3rd party content such as Khan Academy videos and South African textbooks combined with an opportunity to comment on and discuss the content. The VSA is working on enhancing the available content range, while they organise hands-on projects facilitated by local community members who volunteer their time and expertise. The idea is to create a community of life-long learners who teach each other and create new traditions such as peace concerts, fun runs, science projects that are presented at conferences and much more. Such events are prepared, documented, presented and discussed on awarenet using multi-media. For most of its users, awarenet is the first opportunity to get in contact with the Internet, but awarenet is much more. It is a platform that offers the possibility of true open education. For further information, please visit www.awarenet.org. We would like to get into contact with Dr Anna Wertlen. Can someone assist us with an e-mail contact ?